Democracy is imperfect. The voice of the disempowered remain unheard. Democracy can potentially leverage the "
wisdom of the crowd" in a way that other systems cannot, meaning that the group can make a more intelligent decision than any single person. Democracy, due to seeking consent through elections, allows for peaceful regular changes in who has power/authority. This allows countries to evolve & adapt politically. 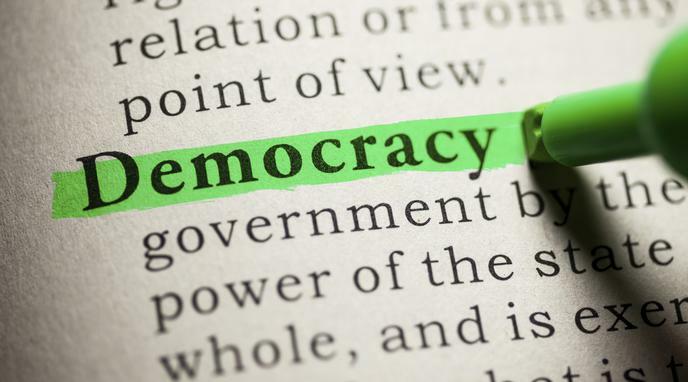 All other alternatives to democracy stunt evolution and change, which is why the last great empires changed to democracies or were defeated by them.